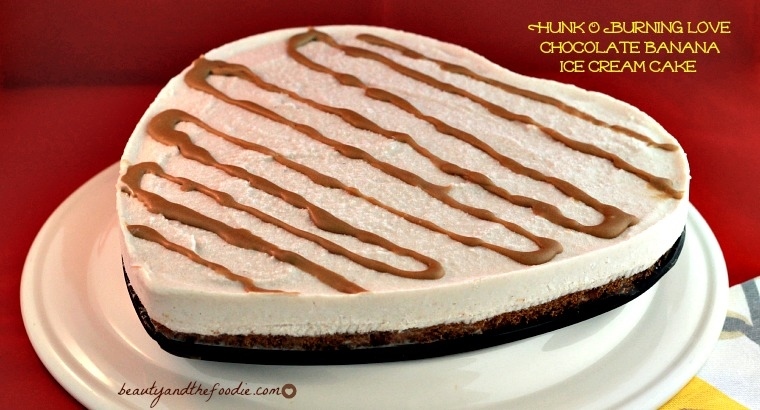 Hunk O Burning Love Chocolate Banana Ice Cream Cake is a grain free, paleo, vegetarian, dairy free, with a lower carb version, chocolate cake with banana ice cream and a nut (or nut free) butter magic shell drizzle that Elvis would have loved. Named after an Elvis song that my kids think is hilarious, and also inspired by his love of peanut butter and banana sandwiches. Only there is not any peanut butter in it, because I used almond butter or sunflower seed butter. The recipe also includes nut free and sugar free options. My son wanted an ice cream cake for Valentine’s Day but he can’t have dairy and I can’t have gluten, so it was a challenge for me. Baskin Robbins will not have this kind of ice cream cake. I made an effort to make this cake as simple as I could, although an ice cream layer cake is a little more involved than making cookies. I know my son was sad about all those birthday parties that had an ice cream cake that he couldn’t have. I have been promising him that I would make one that both of us could enjoy, and it would better than the processed, store bought cakes. 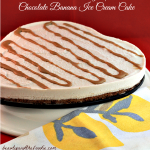 Yummy paleo, vegetarian ice cream cake with nut butter drizzle. Includes nut free and sugar free (low carb) versions. 1 can coconut milk full fat kind. In a blender combine all the banana ice cream ingredients and mix until smooth. Pour into a container, cover and freeze until ice cream is soft serve texture (not hard frozen but not liquid). While ice cream is freezing you can start making the chocolate cake. In a large ceramic or metal mixing bowl combine: ½ cup sifted coconut flour, 3/4 cup coconut sugar or monk fruit sweetener. Mix together well. In a medium sauce pan on medium heat combine: 1/3 cup oil of choice, 2 tbsp. cocoa or cacao powder and ½ cup water. Stir and heat until just boiling. Once boiling pour cocoa powder-oil mixture over coconut flour mixture. Stir together. Add to the mixing bowl: 3 eggs, 1 tsp vanilla extract, 1/3 cup milk of choice mixed with 1 tsp apple cider vinegar, and 1 tsp baking soda. Mix together thoroughly. Pour batter into prepared 9 inch spring form pan or cake pan, and spread batter around evenly. Bake at 400 F for 20 minutes or until toothpick comes out clean. Remove and cool completely, then put in fridge until ice cream is ready. Once ice cream is frozen to a soft serve texture, spoon onto top of cake and spread around evenly with a rubber spreader. Cover ice cream cake and put back in freezer for at least 5 hours or longer until ice cream is firm. Can also make nut or seed butter magic shell drizzle: heat and stir all magic shell ingredients in a small sauce pan on medium low until melted and combined. Drizzle on frozen ice cream cake (will solidify on contact with cold). Once cake is a little defrosted but ice cream is not melted, cut and serve. Keep left overs in freezer, and just defrost a little before serving again. I have an ice cream maker. Should I use it? 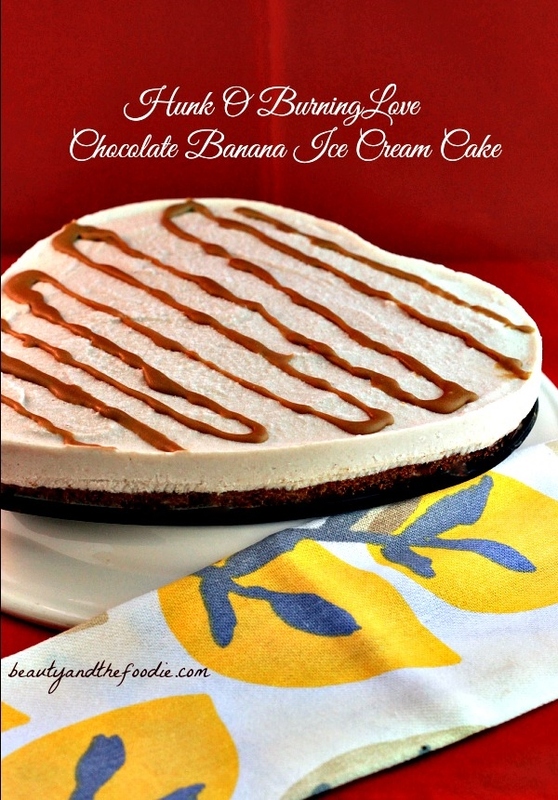 Do u think using the maker will make a better banana ice cream? Safia, Yes you could use an ice cream maker as well. I made this for my husband’s birthday yesterday and he kept raving about how it was soooo good! We each had two slices, including our toddler and preschooler (they had smaller slices so more like one adult slice total for each of them). Looking forward to the leftovers, though I know they’ll only last a day or two! Why in the ingredients list does it call for 3/4 c coconut sugar, but in the instructions it says to add 2/3 c? I read all through the recipe and it doesn’t call for the remaining amount…I guess I’ll use 3/4 c…?? I hardly ever leave comments on recipes, but I have to for this one–it just seems like such a complete and brilliant recipe! Vanessa, thank you for your kind words. I try not to use a lot of almond flour. I did use it in older recipes and still use in smaller amounts, but have tried to cut back since it seems to mess with my hormones, not sure why. I’m not allergic to it, but it gives me hormonal acne on my jaw line. Maybe it is the rancid PUFA’s that I’m reacting to. Thank you for commenting.